Platelet Rich Plasma Therapy (PRP) To help regenerate lost cartilage in joints, using the patient’s own plasma. The word Photoluminescence sounds mysterious and “hi-tech”, but it is an extremely simple, painless and safe means of treating a person for a variety of illnesses. “Photo” refers to light and “luminescence” refers to emission of light. Photoluminescence involves subjecting blood to ultraviolet light to promote healing. This is why the procedure was originally called Ultraviolet Blood Irradiation. Toxic metals are often very difficult to measure in the body. Medical physicians and other practitioners use various methods to determine if you have these toxins. Once you are exposed to a toxic metal they very rapidly move from the blood to the tissue and to the cells. This is fast and simple but will only measure toxins that are circulating in the blood. Once the toxin has moved to the tissue, the levels in the blood fall very quickly. This happens within a few hours or days depending on the toxin. Even with current techniques of blood measurement, they could be missed. This is also fast and simple. Again as with blood, hair will only show recent exposure up to several months. In addition, the use of different dyes or hair products may give us an inaccurate result. This method uses a provocation technique where you are given an oral chelator. Your urine is then collected for a period of time, usually 6-12 hours and is analyzed for toxic metals. It is a very accurate method to determine what your toxic “load” is as it will look at “stored” toxins. To rid the body of heavy metal toxins in the body, Chelation has been found to be especially effective in treating cases of poor circulation and hardening of the arteries. Heavy metals have been associated with several chronic degenerative diseases. The therapy consists of a series of IV infusions of an amino acid called EDTA (ethylenediaminetetraacetic acid) which is a preservative found in many of the foods we eat. We also use Chelation therapy to get rid of plaque and improve circulation in the arteries. This will boost the immune system, allowing the body to defend itself from harmful diseases. We offer several different nutritional IVs for a variety of issues. This is good for pulmonary issues as well as infectious issues. This is a good anti-inflammatory IV. This is an anti-inflammatory IV. Is used to treat Macular Degeneration. Is used to treat infectious issues. Used for lowering blood pressure, lowering cholesterol, improving kidney function, improving sexual potency, improving mental function. Nambudripad’s Allergy Elimination Techniques, also known as NAET®, are a non-invasive, drug free, natural solution to eliminate allergies of all types and intensities using a blend of selective energy balancing, testing and treatment procedures from acupuncture/acupressure, allopathy, chiropractic, nutritional, and kinesiological disciplines of medicine. One allergen is treated at a time. If you are not severely immune deficient, you may need just one treatment to desensitize one allergen. A person with mild to moderate amount of allergies may take about 15-20 office visits to desensitize 15-20 food and environmental allergens. Basic essential nutrients are treated during the first few visits. 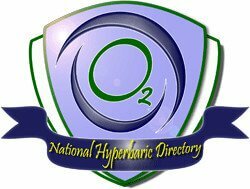 Chemicals, environmental allergens, vaccinations, immunizations, etc. are treated after completing about ten basic essential nutrients. NAET® can successfully eliminate adverse reactions to egg, milk, peanuts, penicillin, aspirin, mushrooms, shellfish, latex, grass, ragweed, flowers, perfume, animal dander, animal epithelial, make-up, chemicals, cigarette smoke, pathogens, heat, cold, other environmental agents. It may take several office visits to desensitize a severe allergen.NAET® was discovered by Dr. Devi S. Nambudripad in November of 1983. Both Men and women experience lower levels of hormones as they get older. It seems now that it is happening at younger ages than before. Hormones are critical for building muscle, burning fat, energy levels, mood, immune function, bone density, and brain function. Lack of enough hormones can lead to obesity, fatigue, brain fog, headaches, joint pain, diabetes and heart disease. We treat these issues with “Bio-Identical” hormones. They have the same biochemical structure as the body’s own hormones. Natural means they function the same way in the body as your own hormones do, and are safer and more side-effect free than non-Natural hormone replacement. This is the process of using a pressurized chamber and breathing in 100% oxygen to promote rapid healing of chronic injuries, chronic pain, and tissue damage throughout the body, including the brain. 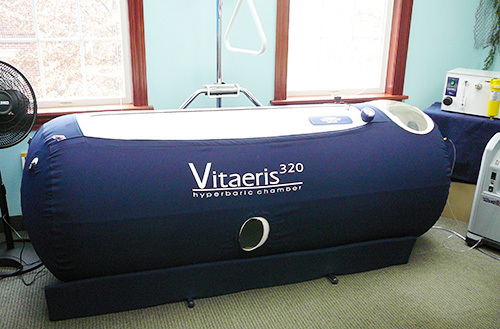 HBOT effectively accelerates surgical and wound healing, energizes the body and mind, promotes better sleep and relaxes the body. It is extremely helpful for emphysema, and COPD since oxygen is the 1 thing the body needs the most. Jessica is an RN, and a Certified Health Coach, and she can’t wait to help you facilitate the process to optimal health. Her style is to take manageable, actionable steps to help you make good decisions to reach your goals, by giving you the resources and information needed to succeed. Weight Loss, Cancer, Detoxing, etc. *We are not open on holidays. *Please call 330-764-4242330-764-4242 if you prefer an appointment closer to the Fredericksburg area. © 2019, Balance of Life Clinic. All Rights Reserved.